Earning a college degree is an important milestone at any time in life. Whether you are 21 and trying to figure out the next step in life or you have already taken that next step and are now looking to better your situation for work or family life, college is a big deal and deserves to be celebrated! But finding the right gift worthy of the bright and brilliant graduate can be difficult. Use our list of gift ideas for any type of college grad you have in your life to show them how special they really are. Everyone, especially busy adults, has a lot on their plate. With work, kids, and earning a degree, most people have many things going on at once and no time to let anything slip through the cracks. A charging station desktop organizer will help your college graduate keep their life in order. This organizer allows them to keep their phone, tablet, to-do lists, keys, and anything else they need all in one easily accessible place. You can even personalize it for them, recognizing just how big of a deal they really are. It is important to keep in mind the things you have accomplished every day so that you can remind yourself that you can do anything you set your mind to! A keepsake box is a sweet and memorable reminder of the hard work your college grad put into earning their degree that they can keep on a desk or countertop. It can display pictures from graduation day, store a graduation tassel inside, and be personalized with their graduation information so they never forget that great day. There is a certain respect that a college diploma earns for you, and you can earn even more respect by having that important document on display. Whether it hangs at home or in the office, a diploma tassel frame featuring the piece of paper that symbolizes all the hard work your graduate showed is an item to be proud of. Not only does it serve as a reminder to them of their own abilities and achievements, but it does the same for everyone around them. Now that they have a college degree, your new grad will need something to carry around all of their important graduate things. With a briefcase or tote bag, they can keep everything organized on the go! Whether it’s work documents or their kid’s soccer schedules, people are always out and about and they need something to carry their life around with them. A good briefcase or tote bag shows that they are a professional, competent, and hard-working graduate. There is something about a watch and a big milestone in life that simply goes together for anyone in any situation. A great watch is a symbol of determination and dedication. Not only does it serve in getting you where you need to be on time, but it can act as a remembrance of an important day, like graduation day! For the busy working mom or the employee taking college classes at night, a relaxing day for themselves is much needed. A spa treatment or day on the golf course is just what they deserve to relieve the stress built up by work, home, and school. Give them a gift card to go do something they enjoy that will help them finish their college career with a smile. Money seems to be the go-to gift when it comes to graduations of any type and for good reason. Any college grad, young or old, could use $50 to Walmart or Amazon for office supplies, groceries, or toys for their kids. If you aren’t sure what the grad in your life needs, give them the chance to get exactly what they want for themselves. 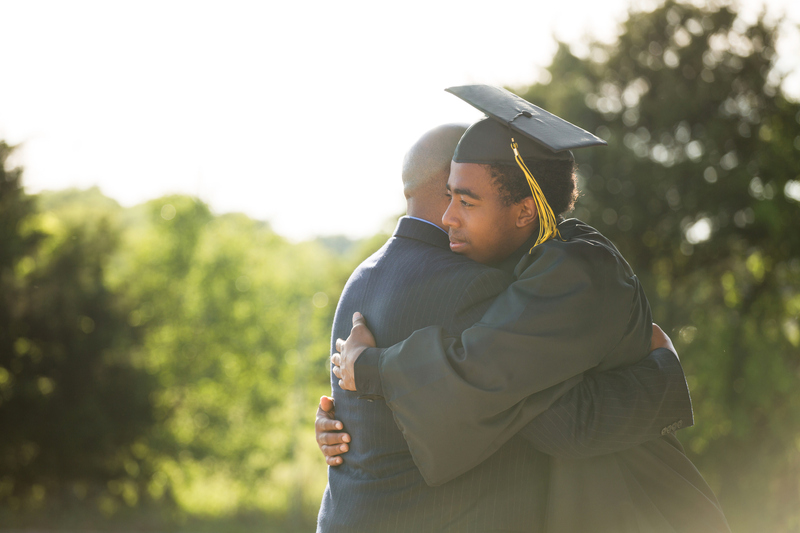 Congratulate your college graduate on their big day with a special remembrance they can keep close and use every day. To the mom who was able to finish earning her degree years later, or the worker who was able to better their life and situation through education, your gift will serve as an important reminder that they are intelligent and able to accomplish anything. With just a few years of hard work and dedication, you could be the one walking across the stage to receive your degree. At Independence University, we offer many different degree programs. Request more info on our website to learn more.